While it is currently recognized as a leader in the production of water heaters, over its history A.O. Smith Corporation has dabbled in a complex inventory of products. Following in his father’s footsteps, company founder Arthur Smith and his successors constantly adapted to market demand and, for the better part of a century, the company maintained its headquarters and its foundational automotive production in Milwaukee. The name “A.O. Smith” as the legal name for this manufacturing firm, goes back to 1904, but it stemmed from the success of a previous Smith family business. Charles Jeremiah Smith, Arthur Smith’s father, first established the machine shop known as C.J. Smith & Sons in 1874 out of the basement of the Antlers Hotel on North Second Street. In its short history, the company became first renowned for producing baby carriage parts, and then as “the leading maker of bicycle parts in America.” When Charles retired, Arthur took over the machine shop and ultimately steered it in a new direction. He developed a pressed steel auto frame (the world’s first) in 1899 and quickly made a name for himself in the auto industry. While production of auto frames at times accounted for sixty percent of the company’s business over the coming century, from the beginning the Smiths experimented with a variety of other products before eventually shifting their focus toward water technology. 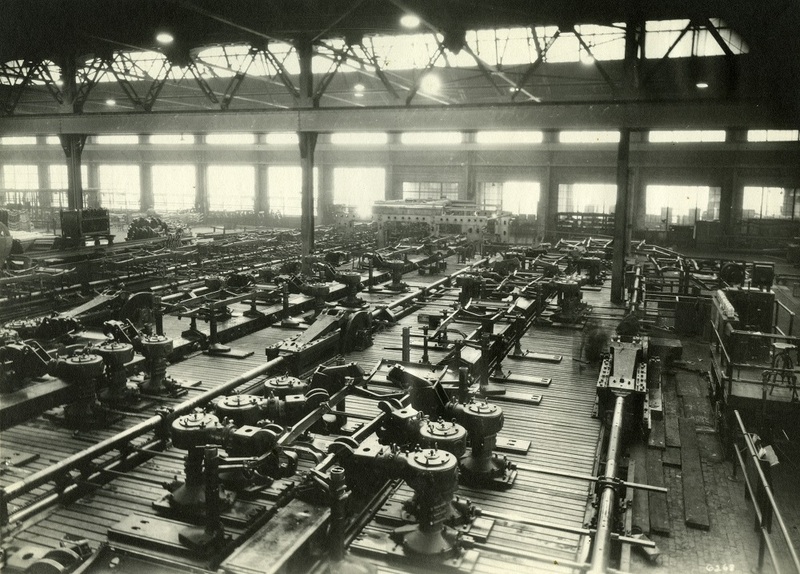 As early as 1918, the company ventured into welding, which led to the manufacture of pipes for transmitting gas and oil. Constant tinkering to improve oil flow led the company to employ ceramic coatings—a technological innovation that A.O. Smith then used to create glass-lined water heater units, beer tanks, and even ceramic-coated silos for livestock feed. Like many other Milwaukee companies, A.O. Smith also produced a diverse line of products—namely bomb casings, torpedoes, and landing gear for Air Force vehicles—to aid U.S. troops during World War II. Such experimentation kept the company in good standing throughout the immediate postwar period. A.O. 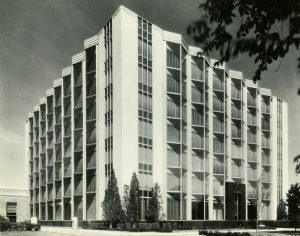 Smith expanded gradually with the purchase of several subsidiary companies throughout the U.S. and also opened up several manufacturing facilities abroad, including its first European plant in 1972. The economic recession of the early 1980s, however, caused trouble—especially for the company’s Milwaukee plants. The decline in America’s auto industry led to major layoffs. Furthermore, many auto manufacturers were adapting front-wheel drive, a technology that rendered A.O. Smith’s steel frames outdated. In 1997, the company sold its automotive production company to Tower International and shifted its focus to other business interests. While this change of direction led to the A.O. Smith’s resurgence as a leading producer of water heaters, it ultimately resulted in the company leaving the Milwaukee area. Major acquisitions, including MagneTek, State Industries, and APCOM, led company executives to shift their attention largely toward water heaters and electric motors. In time, corporate headquarters were moved to Tennessee and in 2006, the company closed its last Milwaukee operations. ^ “Welcome to A.O. Smith,” A. O. Smith website, accessed January 13, 2016. ^ Gustave Pabst, Jr., “The Smith Family: For Generations They Have Been Master Mechanics,” Milwaukee Journal, July 27, 1941, p. 7. Charles originally started out building and repairing machinery but decided quickly that he would make more money by specializing in the production of various parts. The switch to bicycle parts came as a result of America’s growing obsession with bicycles in the 1890s. As the bike parts business flourished, C.J. Smith & Sons relocated from the Antlers hotel basement to a shop on Clinton Street, from which Arthur launched his own company. ^ “History,” A.O. Smith website, accessed January 5, 2016. See also, Peg Masterson, “Dolan Alters A.O. Smith Course,” Milwaukee Sentinel, Thursday, March 24, 1988, 1-2, part 5. As both sources explain, Smith sold some of his auto frames to various car companies in the early 1900s, but it was Henry Ford’s order of 10,000 auto frames in 1906 that really set A.O. Smith on course as major parts supplier for America’s growing auto industry. ^ Masterson, “Dolan Alters A.O. Smith Course,” 1. ^ Mark Ashley, “A.O. Smith: Ready for a Turn in the Road,” Milwaukee Journal, Thursday, October 13, 1981, 9. As Ashley explains, the production of pipes also led A.O. Smith to produce gas pumps for filling stations, high-pressure tanks for oil refineries, and casings for oil wells. ^ Mark Ashley, “A.O. Smith,” 9-11. In fact, according to “A.O. Smith Turns its Units into Separate Companies,” Milwaukee Sentinel, January 11, 1984, 5, part 2, one of the many subsidiaries that A.O. Smith operated was built upon this production of farm equipment—A.O. Harvestore Products, Inc. Other products that the company produced over the 20th century included: electrical controls, welding rods, and (very briefly) elevators. ^ “A.O. Smith Turns its Units into Separate Companies,” 9. See also “History,” A.O. Smith, accessed January 5, 2016, which notes that the company also produced aircraft propellers, frames for airplane bombers and jeeps, and parts for the atomic bomb. ^ “History,” A.O. Smith, accessed January 5, 2016 The company’s website notes that they purchased the Burkay Company in Toledo, Ohio in 1948 and Whirl-A-Way Motors in Dayton, Ohio in 1959. They developed the Smith Fiberglass Products subsidiary in 1959. The company’s first European plant, opened in Veldhoven, Netherlands, in 1972 specialized in water heater production while subsequent plants opened in Bray, Ireland (1976), and Juarez and Acuna, Mexico (1984) and specialized in the assembly of motors. They tapped into the Chinese markets in 1996, selling not only auto parts, but also water heaters and fiberglass oil pipes. ^ Ray Kenney, “A.O. Smith to Fill Frame-Business Loss from Within,” Milwaukee Sentinel, February 4, 1981, p. 5, part 2. ^ “History,” A.O. Smith, accessed January 5, 2016, MagneTek was acquired in 1999, while State Industries and APCOM were brought on board in 2001. By 2006, A.O. Smith had become the world’s largest producer of hot water supplies. ^ Paul Gores, “A.O. Smith Sells off Fiberglass Pipe Division,” Milwaukee Journal-Sentinel, December 12, 2000, 2D. Gores mentioned that the company also sold off their storage tank business. The loss of these other product lines, however, did not hinder company success. According to Gores, the company employed nearly 15,000 employees in eight different countries around the world.